We love Peppa Pig! Do you? :) That's why I have prepared some worksheets for my students. Today I share them with you. All you need to do is to print them and play the Flying on Holiday episode! 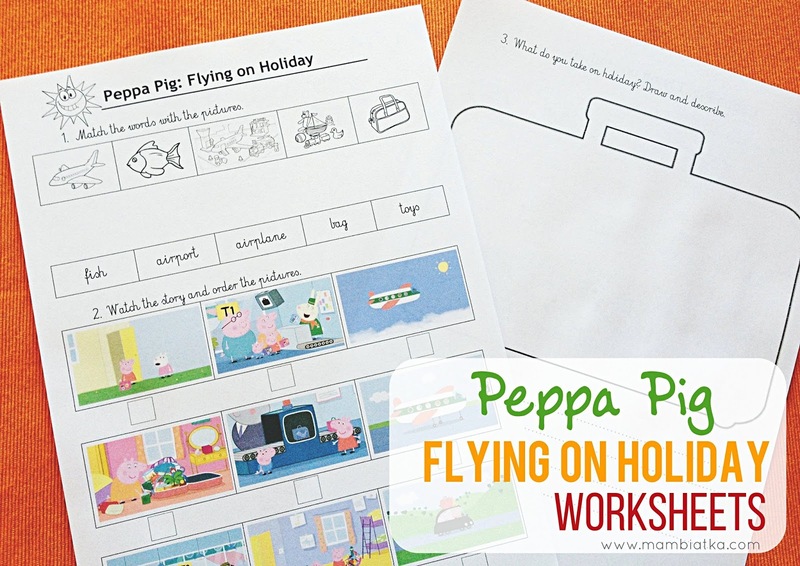 The images are very clear so you can print the worksheets in black and white. Have fun!